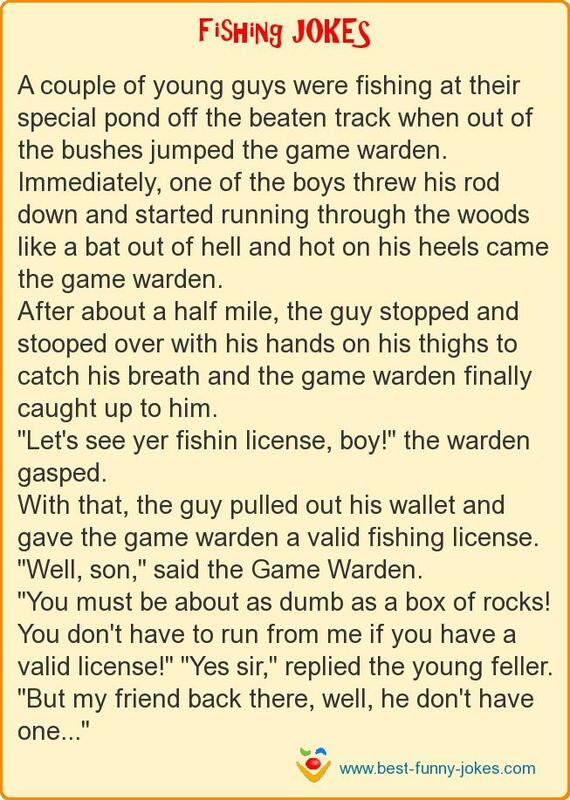 "Well, son," said the Game Warden. "You must be about as dumb as a box of rocks! You don't have to run from me if you have a valid license!" "Yes sir," replied the young feller. "But my friend back there, well, he don't have one..."